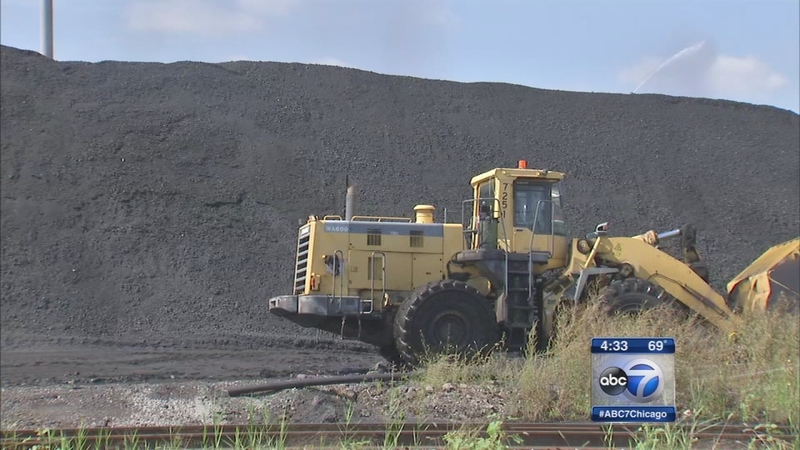 CHICAGO (WLS) -- Some people living on Chicago's Southeast Side are asking Mayor Rahm Emanuel for protection from petcoke. Members of the Southeast Side Coalition to Ban Pet Coke dropped off a letter at the mayor's office on Monday. They say the Chicago City Council has not met its own March 31st deadline to limit the amount of petcoke entering the city. Petcoke is a byproduct of oil refining that's stored at facilities on the Southeast Side. Mayor Emanuel proposed regulations to ban new petcoke facilities and prevent existing ones from expanding.